One of the first bloggers I met back in 2005 (confidence buoyed by my successful meeting with Johanna a month or two previously) was Jenni of Pertelote. But if you follow her blog, you will have noticed that she’s been awful quiet lately. Has she moved to an internet-free corner of the world? Given up this blogging story for a joke? Well, no, she’s been busy with her newest creation – a very special bun that had to bake for 9 months and is now the Littlest Pertelote! The main course came courtesy of Skye Gingell’s wonderful cookbook, but was adapted to use venison, accompanied by mashed sweet potato and sauteed cavolo nero with Parmesan. And dessert was my self-saucing apple-caramel pudding with added chopped pecans – mmmm. 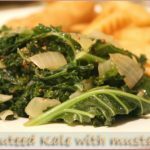 It was a wonderful afternoon of good friends and good food and I found myself thinking back to it s I stood in the supermarket recently looking at the curly kale. 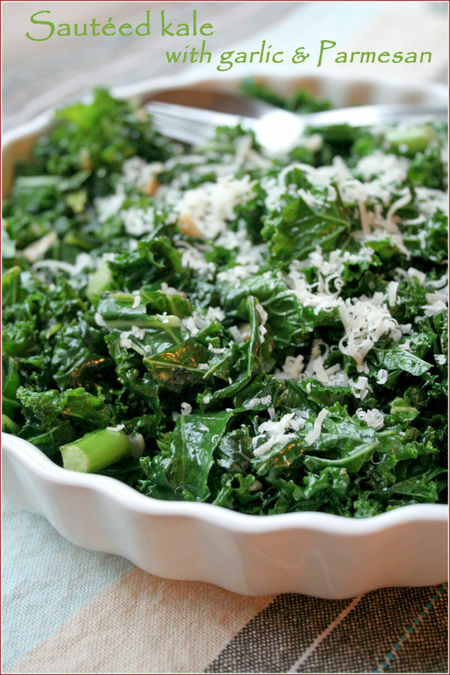 Cavolo nero… curly kale… not a million miles apart, are they? And so I used my curly kale to recreate the cavolo nero we had at Jenni’s. 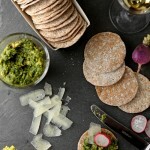 Easy, quick, healthy and delicious – and who can resist cheesy vegetables?? So stop pushing the kale in your organic veg box to the back of the fridge – put it in the spotlight with this delicious dish. In a large fryng pan or wok, heat about 2 Tbsp olive oil. Add the garlic and sautee until it starts to sizzle. 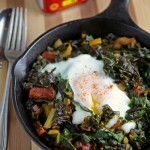 Add the chopped kale, making sure it it as dry as possible, otherwise it sizzles and splatters. Over medium heat, sautee the kale until it has softened but retains some crunch and its brillliant green colour. Add salt and pepper to taste and stir in about half the Parmesan. Serve with the remaining Parmesan sprinkled on top. I only WISH I had kale to push around! I’ve never seen it before– never on shelves. But since it’s a brassica, I’m sure I’ll love it 🙂 You are some very sweet friends! She is one lucky mom! What a lovely thing to do, and the kale looks wonderful. I haven’t had this type of kale, only the red kale I grew last summer. Must try your way of cooking it. I just got up and my stomach started to rumble seeing all of this absolutely mouth watering dishes. I love Kale, I even grow them in my veggy garden. Your recipe is simple, and sounds delicious! Oh wow – I’m loving the pics and the kale! Kale has to be all around my favorite green. I love how you did this.Your blogging lunch looked and sounded heavenly. Love the way the pate is presented. Friends like you comes around once in a lifetime!!! A lovely meal!!! mmm…amazing spread, and congrats to the new mamster! oh yes, what a wondeful meal we had! i am definitely making the venison casserole again for xmas day, so there might be leftovers on the 26th, you never know! have been making the same cavolo nero recipe almost once a week since then,’ it’s become a firm favourite! It was certainly nice that you gave Jenni some adult company as well as a nice meal to enjoy while you were there. I’m thinking maybe I should get pregnant! What a meal… pure bliss this time of year. That first image is absolutely stunnging! You have to be an angel!!! Not just a fairy! The meal looks gorgeous and the photography, as always – incredible. She’s really very luck to have a friend like you and I am humbled by the gesture (especially since it is now the season for giving)! What a kind gesture – perfect for this time of the year. For me, your photographs did it again! You really are talented, young lady. My address is… Looks like a marvelous feast! A lovely looking meal. The chicken liver pate with pistachios is also looking very nice indeedy! I like this. 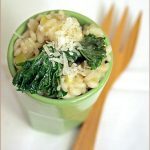 Kale is one of my favorite green leafy things, but I’ve never tried it with parmesan like this. I can confirm that the food was delicious, the company very welcome and, in fact, the whole day one of the most relaxing and enjoyable since our little Bun arrived! Thank you again, Jeanne! What a lovely gesture for a new Mum. I bet she was very appreciative. Love the blue in the photos on next post.